I just wanted to point out since I do talk a great deal about both characters especially in the verdict. I won't be doing feats section to further surprise people. Of course you can look those up on online if you choose to. Hi everyone I'm Jack Red, I know a while back I said I wasn't going to do anything related to Death Battle anymore. But this is an unusual case I have to do something. This will be my final Death Battle blog prediction. I will try my best to not over complex what I found during my research. I am a huge fan of both these characters. Cletus was a serial killer in prison until unexpectedly a symbiote enters a cut on his hand. This transformed Kasady into the mad man Carnage. The symbiote itself was an offspring of Venom. Who shares many Spider-Man & Venom's abilities with plenty of his own powers. Over the years Carnage has done unspeakable things even for a comic book villain you would be amazed they allowed it. There were reports of women slaughtering people. At the very core these people were actually part of an almost extincted species. Most of them has horns with several vectors that are dangerous long arms. Lucy is often considered to be the most dangerous of their kind. A world that truly doesn't understand her kind to the point it kept ending badly for everyone. Carnage is an offspring of Venom having all of his & Spider-Man's powers. His default stats is higher than both of them combined. Originally a serial killer before truly becoming a stuff of nightmares. Why does that sound so familiar lol. Lucy is meant to be the end of mankind revealed late in the manga. Often considered the most dangerous among her own. Ever since child hood the pile of bodies kept on growing through out the years. Her vectors are transparent long arms capable of easily ripping people in pieces. Originally he did share two common weaknesses of his kind. Fire & high frequency sounds but thanks to Norman Osborn he became immune to them. Carnage does seem to get too cocky & arrogant. After removing weapons created from his body, they quickly break down. Although it is difficult to separate the symbiote from Kasady. Kasady himself does maintain a handful of powers. However the symbiote is the reason most diseases including cancer isn't affecting Kasady. Which means if he leaves too long with his cancer, Kasady will die. According to the rules, both Kasady and his symbiote has to die for Lucy to win. Other than those Carnage doesn't have many serious weaknesses. Ever since surviving a shot meant for armored things followed by a fall shortly afterwards. Lucy's mind gain a new innocent not bright personally named Nyu. For awhile Nyu was out until Lucy comes out. Neither personality seems to have control over each other. There is times Nyu went away while Lucy came right out to fight. This also means during a fight if Nyu comes out. Lucy will easily fight shortly afterwards. Also it turns out her horns are connected to her ability of using her vectors. If one or both of them are broken, she will lose that ability for a few hours. Also her durability may be higher than a normal person but guns can still kill her. After much needed considering I have to side with Carnage in this fight. Before you start losing it like no tomorrow you should listen to what I need to say first before judging me. I should mention the verdict including breaking every little thing down. This is going to be lengthy even for a Death Battle prediction blog, please take breaks often to prevent going insane in the process thank you. Lucy's kind does have a virus that can affect people. As long Kasady is bonded to Carnage, he will be immune to it. Lucy seems to rely too much on her vectors during her fights. Sometimes she does get hurt tanking some force. But even with the statement by several characters of her being able to destroy the world. Let's be honest the closest I seen to that was her destroying an island. Which is still impressive yet Carnage did survive being ripped in half while in space by Sentry for months. We are talking about a Superman class character that easily ripped him in half. At the same time Carnage was able to adapt to the situation & survived. The same guy that fought World Breaker Hulk to his limits. Even if Lucy could destroy the world, she will only end up killing herself. Yes I know her vectors are now long enough to reach space. The vectors themselves aren't directly a part of her body. Therefore that shouldn't count towards her being in space. In vice versa, the symbiote allows Kasady not needing oxygen in space or underwater. Carnage often laughs, says terrible things and even willing to do straight down evil things. The very thing Lucy hates about humanity in general. It is stated in her universe that her kind even at a young age are mental unstable. Lucy got bullied with a dog killed in front of her leading to her murders. It turns out Carnage has the power of empathy. The same power that caused a man to go insane within seconds of Carnage using it. This means if Carnage uses it on Lucy, she's completely lose control. Lucy's vectors are connected to her horns. Believe it or not, Carnage does caught on to things especially during battles you wouldn't expect. Once he figures out he needs to destroy those horns, Lucy will lose her biggest advantage. It actually gets much worse folks. As stated before Lucy's vectors have become long enough to reach around the world & up to space. At the same time, the faster they go the more visible they become. Carnage has his own version of the Spidey sense that will allow him stay on top of surprise attacks. Yes Lucy's vectors can simply pass through some things to hit her targets. Difficult to believe one of Carnage's powers that many people isn't even aware of. He is able to see through any part of his body meaning if Lucy attempted to rip his eyes out. Carnage can technically still see her not even needing to wait for his eyes to regenerate. This also means he has plenty of ways even without his own Spidey sense to stay on top of whatever Lucy is doing. In fact late in the story she is able to directly attack the nerve system. 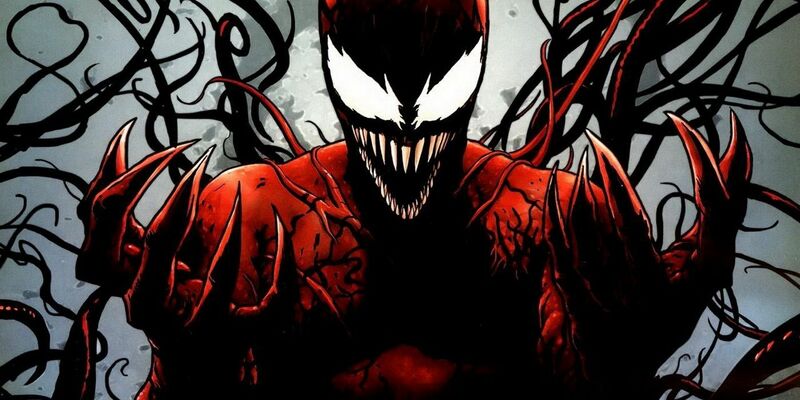 The problem with that is Carnage can control everything about his body I'm not kidding. He could shrink to possibly microverse size or after eating a cattle or something similar to become a giant. This also allows him to form weapons with his hands, from his body and many other things. I should mention sometime after losing his giant size. He was able through an artifact to become a slightly smaller giant on his own. A slight chance Carnage might use it during the fight. If he does, Lucy will have trouble keeping Carnage away from her. Remember by altering his very body also comes with increasing his strength & durability at will not requiring anything at all. This will allow him to easily tank even the most powerful blows Lucy is able to dish out. There is also a chance Carnage can use his web to trap her vectors. Probably won't last long but it will give him plenty of time. A lot less in comparison to Lucy since she isn't much faster than a normal person. Carnage's default speed is greater than both Spider-Man and Venom combined. Carnage can increase his strength and durability simply altering his body. He also has the ability to create clones of himself that control anyone they bond with. You would be shocked which super heroes he got with that ability. By default Lucy isn't that much stronger on her own than a normal human. Kasady does maintain some of his superhuman strength. Carnage by default can lift 80 tons slightly higher than Venom's original 75 tons. Although both characters has lifted many things over the years. Let's be honest Lucy haven't dealt with someone stated to be both faster than Spider-Man & Venom. Which is over elite athlete level. Carnage by altering his own stats can make himself physically stronger, faster and tougher. He doesn't require anything to do that ability. Carnage can create weapons from his body that do quickly break down. At the same time they could help disrupt Lucy's flow of things. He can alter his hands into blade weapons being just as sharp while more durable than the actual weapons. Lucy's regeneration does take it's toll on her. Near the end of her life, she gave it up to save someone she loves. Which ended up causing her to die much faster in the process. Carnage's regeneration so happens to have several important factors to consider. 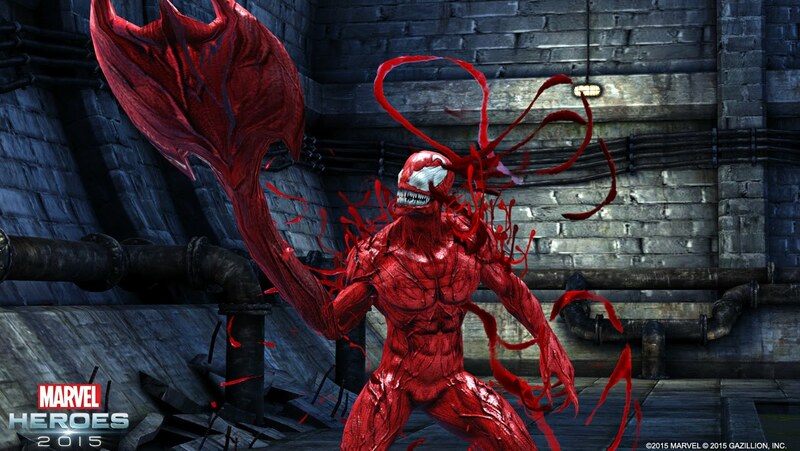 Carnage can regenerate from a single drop of blood. Carnage symbiote itself feeds on negative emotions. Considering Lucy's past, it shouldn't surprise anyone that it would play against her. In fact one time he gain enough of it to fully regenerate. Obviously Carnage has much more combat & murder experience. He was a serial killer before becoming Carnage. Carnage has a colorful history of killing people including children. He has never in the entire history of comics hesitated to kill anyone. In vice versa, Lucy has hesitated to kill a few people including the one she loves. She is used to seeing dead bodies centering her. Carnage once fooled Spider-Man faking his death to trick him getting too close before. He also has tentacles & webs to help strict Lucy's movements combine with superior overall movements. Lucy is used to fighting vectors of her species. Most people that fights Carnage has difficulty dealing with his tentacles since he can easily add more of them. In the past, Lucy had trouble taking on a girl in a wheel chair that had slightly more vectors than her. Death Battle did state Spider-Man's web could hold down the Hulk. You already know Venom's web is much stronger lasting around the same period of time. Carnage's web is more of his body make up than webbing making it much worse to get on you. Not only that just like Spider-Man and Venom, Carnage can quickly fire webs anyway he wants. He could surprise crawling above her to quickly fire webs on her hands & feet forcing her in place. Regularly it takes one hour for Spider-Man's web to break down. Although it is likely less his web is more difficult to break than Venom's. Lucy would have trouble using her vectors breaking Carnage's webs. Some versions of him has vampiric touch. He might be given the ability to feed directly off people. In this case it could help with his regeneration as well as affecting Lucy's. Let's talk about firearms Lucy is like a normal person when shot. The main reason we usually don't see that is using her vectors to protect herself. In comparison, Carnage is basically bulletproof as most bullets fired bounces off of him. The big mistake Lucy will make is going straight for the kill from the beginning. Carnage is widely known for being unpredictable. Usually he does go straight for the kill or doing worse. Sometimes he loves to toy around with people while attempting to kill them. At any given time the symbiote can separate from Kasady. People in the past had trouble removing the two from each other. The symbiote actually has some disturbing options to kill Lucy. Although Kasady could die from his stomach cancer during this when separated. If Carnage manages to cut her, he can separate from Kasady to go inside her through it. When this starts the moment she actually notices it will be too late. One time the symbiote went up a guy's nose prior to killing him. Honestly folks I was very surprised this happened in canon myself. Another option is bonding with her to steal control then commit suicide. Her will may be strong but not stable enough mentally to regain control over him. This also allows the symbiote to surprise attack Lucy. Even if she did notice & attacked the symbiote. It wouldn't do much to harm the creature. I should mention the obvious weaknesses most symbiote species has. In the past, Carnage was vulnerable to both fire & super sonic frequencies.Thanks to Norman Osborn aka the original Green Goblin cured him of those. Which means Lucy can't cause explosions or make a loud enough noises to slow Carnage down. Technically Lucy is more vulnerable to both of these. Kasady and the symbiote are best friends that agree on everything. Not once in all possible canons did the two ever had a serious argument with each other. In vice versa, Lucy after being shot with an armor piercing bullet to the head. Lucy gain a new innocent personality named Nyu. Whose very nice but not bright even messing up the simplest of things. Which doesn't translate well in combat. Also because her mind doesn't have enough control to keep Nyu away. Let's say if Nyu's personality does come out. Carnage will quickly take the chance to kill Lucy faster than her original personally gaining control. Even if Lucy's personality returns in time. By this point Carnage already removed many possible ways of her fighting back. Let's talk about the most obvious in this fight. Lucy is a long range fighter. At the start of the manga and anime, her vectors were two meters long. Obviously they're a lot longer late in the manga. Carnage can fight long, mid and short range since his shape shifting allows many possible options during combat. Lucy prefers to keep her targets at a distance. Carnage always ends up being dangerously close to whoever holding their own against him. We're talking about a guy so evil not even The Joker in a crossover wants anything to do with him. Considering how evil The Joker is, this surprisingly quite an achievement in & off itself. Carnage held his own against his son Toxin whose physically the strongest of their kind on Earth. The big problem with this fight is Lucy has way too long vectors trying to capture & kill Carnage. It is almost like having a over sized fly swatter trying to hit a very small fly. Considering he does have all of Venom's abilities at that point. He could bend into the environment they're fighting by becoming invisible. 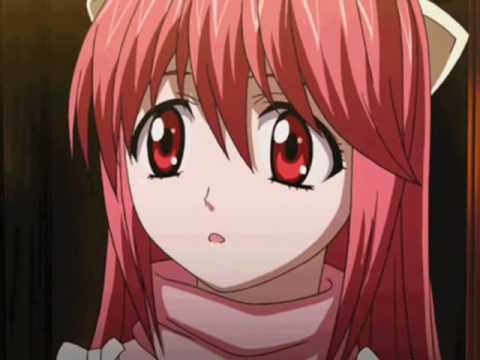 Sadly since Elfen Lied has no real non canon material. I'm force to stick directly to canon with Carnage. Probably a good thing since in a non canon story. The symbiote bonded with the Silver Surfer. Late in the same story, he regain controls to fly right into the sun. Although Silver Surfer died from this, unexplained both Kasady and the symbiote survived. The same story Carnage defeated several big name characters on his own twice. Yes mostly made possible due to Silver Surfer's god like powers. It was still worth mentioning since he was controlling a being that powerful yet had that much control over him. In canon, his symbiote can easily take control of anyone. Yes I did note a non canon crossover between Marvel & DC. This particular feat has to be the one non canon feat I need to consider. A being so evil even someone as close as evil quickly being disgusted by him is truly mind blowing. This by itself will greatly affect Lucy during the fight. I would've taken this feat as one of his greatest durability feats in this fight. But both of them have plenty experience fighting their own kind. One thing both of them has in common with each other is both their species being on the verge of extinction. Most of the world still doesn't quite know how dangerous they truly are. Let's be honest the craziest among both their species is fighting each other on Death Battle. Yes Lucy did tank a blow sending her into a building. One time Carnage got sent flying by Venom from one end of the city to the other in one particular fight of theirs. Carnage's ability to adapt to most kind of situation being a regular trait of the symbiote ultimately puts the nail on Lucy's coffin. Thanks man it really means a lot to me in this particular case. I'm such a huge fan of both characters. Honestly I could actually care less who actually wins the fight. Although for the record I am a bigger Carnage fan. I can't boast such impartiality. I watched the Elfen Lied anime to prepare for this fight and LOATHED it. Though Carnage is definitely a fun character to talk about! I found some truly ridiculous stuff about him during my own research, like when he attacked someone by sending a tendril through the internet. I heard Carnage once defeated the Hulk. A character with very clear proof of destroying worlds. Carnage also can come back from his head being ripped off or blown completely. He is sorta like a Yu Yu Hakusho villain Elder Toguro in that area. Carnage has done things even I still have trouble getting through my mind. They sure know how to piss people off. It is almost like a gift for them. Hey around round of Goku vs. Superman. Darth Vader's scene with the long NNNNNNOOOOOOO describes it perfectly. Ojala y Death Battle no la vaya a cagar.